Last month the first news snippets came out surrounding Googles contender to Facebook’s like button, the +1 service works in the same way as the Facebook like button and will soon be available for websites. Web masters and site owners will be able to select from 7 different variations of button to fit in with the look and feel of their page, some will come with counters whilst others will literally just display the +1 logo. This is the exact same format offered by Facebook, Twitter and other social bookmarking sites such as Digg or Stumble upon. 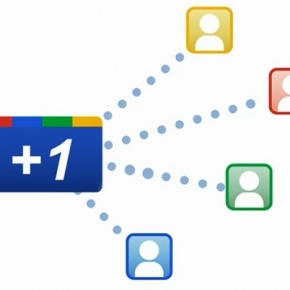 The button will also work in similar way on users profiles, so when someone +1’s a site or article it will appear on their Google profile and also be reflected in the search results. This will automatically show how popular a site is in the search engine results pages (SERPS). At this stage it’s unknown if Google will use this information in their overall algorithm used to display relevant search results, many industry experts feel that this is very likely though. At the moment Google towers are keeping the official release date under wraps but have placed a notification form for web masters on their blog. Do you think the +1 will be as popular as the Facebook like button?